Diesel Truck Gauge Kits feature one, two, or three 2-1/16" gauge pods and gauges that easily attach to or replace the existing A-pillar. Made of ABS plastic and designed for exact fit based on application, pods and pillars can be painted to match the interior. 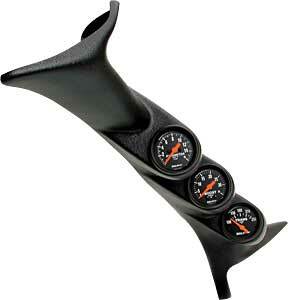 Included gauge(s) are listed below, and kits come with necessary wiring and senders for installation. Does Auto Meter 7072 fit your vehicle?